I think it is because of WP Robot, that started the idea off. WP Robot is a plugin for WordPress that allows a use to basically scrape keyword related content selected by the website owner. I see a lot of the sites out there that are using plugins like WP Robot. And you know what – I just shake my head sadly. This is without anyone’s permission to post. Often, I see in my WordPress admin panel links to these sites and have to delete them. They have no real value! This is not autoblogging – it IS scraping content. There is no human interaction. How can such a product make people money? Forgive me, but perhaps I just do not understand or it is the fact I would rather physically write my own articles. These sites cannot provide valuable back links no matter how many articles a day the site auto posts. This defeats the purpose of having a site with original content. Also, the majority of sites using autoblogging software are frowned upon Google. Not only is is a content farm, but it is duplicate content! 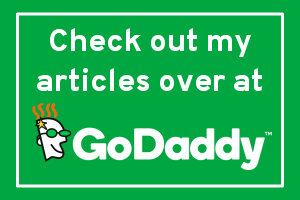 What are your thoughts about autoblogging and sites that use them as an article mashup? I never thought of using WP as the platform of my blog before. But lately I’m thinking of considering it again after reading some facts about this provider. 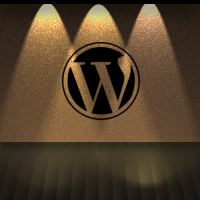 WordPress is absolutely fine… without installing autoblogging software. In fact, if you want to become a serious blogger and have more control over your site, definitely WordPress is the way to go. For me autoblogging can do no good. Just like you when posting on blog I prefer my own composition. I’d rather endure the hardship of writing and thinking of new ideas than to copy from others. Maybe you might frown upon my comment but I want to be honest. I used to use autoblogging for my blog. I knew Google doesn’t like duplicate contents so I had a wordpress plugin that would alter the ascii characters in the background but still readable to the human eye. This was about 5 yrs ago, when autoblogging just came out. I understand that this was wrong but it was so hard to write a blog a day. I nolonger do this cause Google search engine is so advance now that it is not worth the risk. I agree, there is no good in autoblogging and it doesn’t give you more authority.. Thanks for sharing such post. hope this post will provide a mile stone for blog readers. I can see software being useful, although I have never used it myself. Well, it’s somehow useful for bloggers who don’t have enough time to write and to those who are lack of ideas of what to write. Maybe these are the positve things about the software, they keep a blog updated but the qulaity of the posts is not that valuable. In this way, autoblogs can affect bloggers reputation and get less interaction to the readers. Well, that’s the main purpose of autoblogs right? Serve ads on it to make money. This is what I’ve learned from a blackhat forum. I’ve found people setting up hundred’s of them. Some of the autoblogs may have got Page rank and even outranked the original articles. I wonder what had happened to them after the panda update. I think they fill the web with junk and thankfully Google are trying to do something about it – for example, the ‘scraper’ updated targeted just these sites. I guess they may make a few scraps via adsense for obscure keywords. What I believe is that a content will be delighted and reach the hearts of readers when we write ourselves from heart and with passion. But making it with WP is not a good idea and good for ablog too 🙁 Thanks for sharing. Auto blogging is really bad! I think any form of content scraping is bad even when it is carried out manually… it adds no real value at all! Unfortunately Google is not as clever as it likes to make out, so people do still get away with some pretty low quality content. I’m convinced however that the higher the quality of our content the better we will do in the long term. I probably wouldn’t defer to autoblogging just because of the risks involved. I love WP and use it on my websites, and obviously automating as much as you can is helpful, but it should be mechnical, and shouldn’t touch the content portion of your work. Google will eventually filter it. This autobot blogging sounds really awful. When you first mentioned it, I thought you were talking about something like posterous. But THIS autobot is just about stealing content without the author’s permission. Any idea that we can stop something like this? Imagine someone have 100 blogs, he surly not gonna be able to manage all of them so he use this kind of plugin or script to add content to get extra money from ADs, usually people use this in websites with no traffic to get more traffic, once it become better he stop using them. Then that person has failed to understand what blogging is about. He is not going to make much money putting ads on a site that will be blacklisted on Google and most other major search engines. And how will he manage 100 sites if he has people commenting on those sites too… he will not be able to. And autoblogging is stealing content from other sites without the original author’s permission. I am agree with your opinion , i also try to find how autoblogging works , but in end i just found that give no worth to your blog . I think the key to autoblogging success is to mix original articles with articles syndicated from other websites. There is nothing wrong with autoblogging, just that you need to do in such a way that it appeals not just to the search engines but also to human readership. I’m not really a fan of autoblogging on WordPress as well. The point is, what’s the purpose of blogging if you are running it on autopilot? I mean, where’s the sense of it. Why do you blog anyway if you are to run a content scraper on your blog. Content matters, and such software is not the type for real bloggers. Auto blogging is not good these days as google is hunting for the sites with duplicate or thin, scrape content. So, I personally feel auto blogging can do no good for a blog.